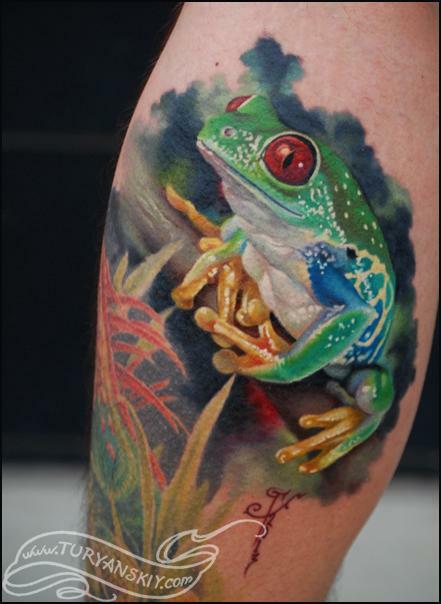 Colour frog tattoo. About 8 hours. 2013.